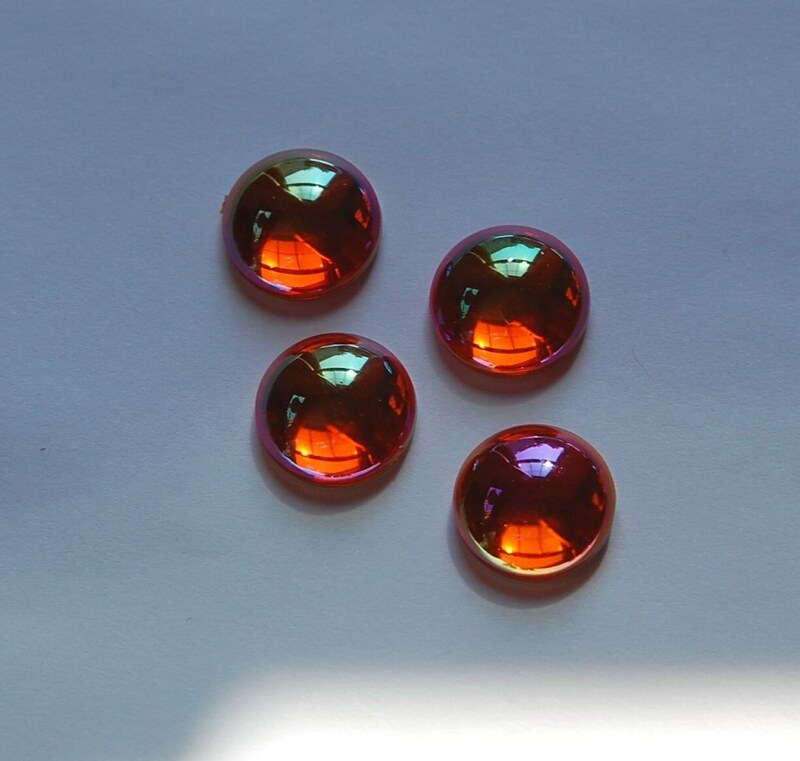 These vintage orange cabochons were made in West Germany. They are plastic with a silver back. These have an AB coating. They measure 13mm. You will receive 4 of these. 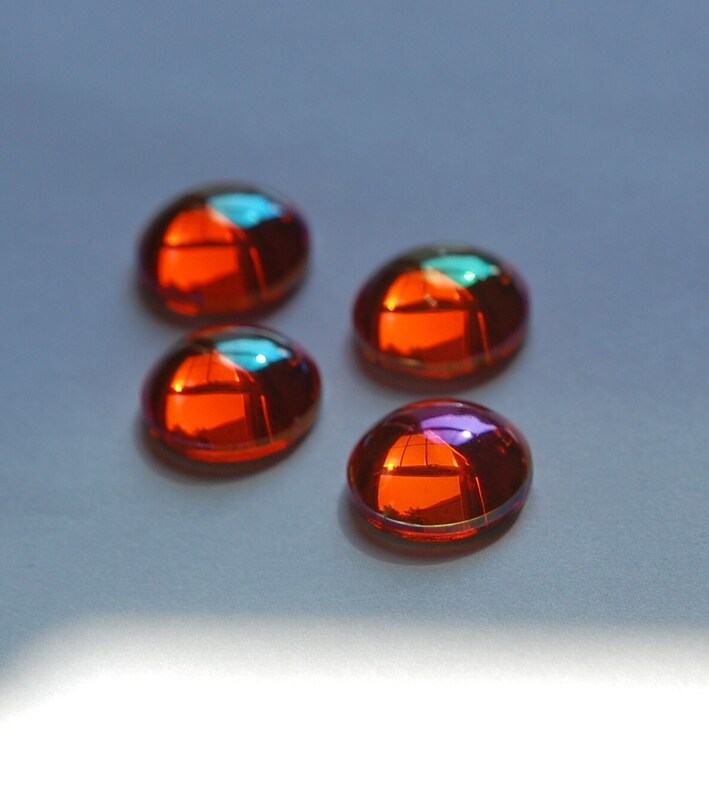 Perfect color, size, and great quality of this item! These are stunning! Thank you for the fast shipping!